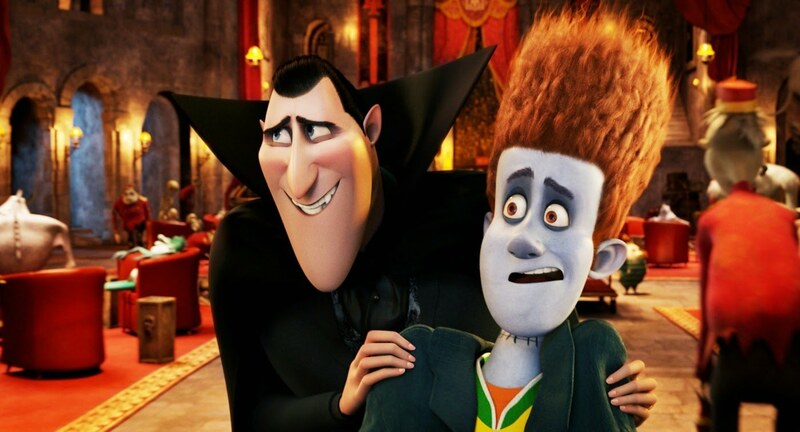 Hotel Transylvania, the animated feature from Sony Pictures Animation, starring the voice talents of Adam Sandler, Kevin James, Andy Samberg and Selena Gomez, is a joy pure and simple – even for big kids! Dracula (Sandler) runs a hotel where monsters go to get away from it all. However there’s trouble brewing as his teenage daughter Mavis (Gomez) is determined to go and explore outside world. That is until the hapless Jonathan (Samberg) stumbles upon the hotel and the beautiful Mavis. Only then does Dracula realise his troubles haven’t even started. Once upon a time, in the land of cartoons, Disney was king. Aimed primarily at children, adults often accompanied them to see his films under duress and generally only to keep their offspring under control. But now times have changed and rival studios are getting in on the game. With state of the art animation and three dimensional characters, no one thinks twice if an adult goes along to see the latest cartoon – with or without the kids. Hotel Transylvania is a case in point. Its seamless animation captures perfectly the essence of the Hollywood’s golden age of horror from the 1930’s and 40’s in the characters of Dracula, Frankenstein and the Mummy along with a suitably gothic castle and Eastern European village in the valley below. However its the cavalcade of freaks and their witty characterisation, which are the most satisfying. Apart from the idea of a castle where ghoulies can holiday in peace without fear of interference from humans, there’s maybe not a lot original in the story line – after all a parent trying to protect their child from growing up too quickly has been seen before. However the way this collection of monster misfits tackle both each-other and the threat of human invasion in the form of the spaced out Jonathan has the right degree of wit and sophistication to amuse adults whilst being zany and slapstick enough to hold children’s attention for ninety minutes. That the film’s most irritating aspect is its central character of Dracula – Sandler’s strangulated European accent soon starts to grate – is disappointing. However his various houseguests more than compensate for his shortcomings, making sure that Hotel Transylvania becomes a popular holiday destination for years to come.